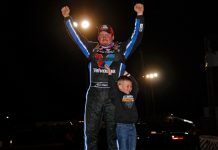 CONCORD, N.C. — There always has been and always will be a connection between the short-track racing that so many of us love and big-time motorsports such as NASCAR and Indy car, but that synergy seems greater now than it has been in years. Let’s face it, the majority of the country’s racing takes place on small race tracks located in cities, towns and fields from coast to coast. It’s always been that way, as the majority of early automobile racing occurred on fairgrounds tracks built for horse racing. 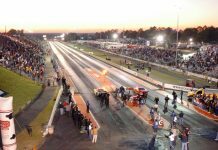 Over time, more and more purpose-built race tracks sprung up around the country and as the sport gained popularity, more and more superspeedways were built. Naturally, those who found success racing open-wheel cars on the smaller tracks graduated to championship car rides on bigger race tracks, while racers from the jalopy and southern stock car circuits made their way to NASCAR. The fans followed, and the segments of the sport remained linked. 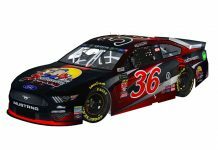 But as television and big money became major players in NASCAR and Indy car racing, there grew a separation between fans of grassroots racing and those who religiously followed “major” motorsports. 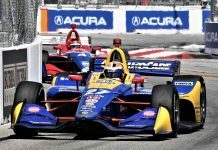 For decades, short-track, open-wheel racers made their way to Indy car racing and short-track, stock car drivers graduated to NASCAR’s bigger tracks and brighter lights. But beginning with Jeff Gordon in the early 1990s and continuing with the likes of Tony Stewart, Ryan Newman, Jason Leffler, Kenny Irwin Jr., Kasey Kahne, Kyle Larson and Christopher Bell, open-wheel racers were fast tracked to NASCAR, and they were greeted with great success. Crew members from the grassroots level also migrated toward big-time motorsports. 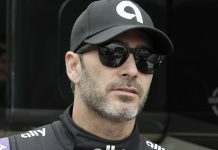 NASCAR and its tracks enjoyed tremendous financial success, while Indy car racing went another direction with foreign drivers and sponsors taking center stage. Both forgot about the roots of the sport. Crossover remained and there was still a path drivers and crew members could take from their local short track to big-time racing, but the skills required became different. Many of the millions who attended NASCAR races during the 1990s and early 2000s either tired of the sport or were no longer willing to spend the money it required to be a NASCAR fan. While some of those fans left motorsports for good, others returned to their local short tracks. 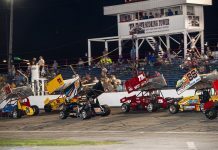 As short-track racing, and particularly dirt-track racing, started riding a new wave of success – with sprint car, midget, modified and late model events playing to packed houses across the land – many of the same drivers who left short-track racing for the big-time began playing significant roles in the resurgence of the segment of the sport that made them stars. 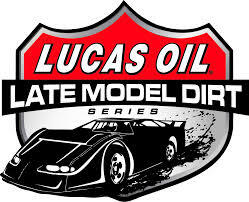 Drivers such as Stewart, Kahne, Larson and Clint Bowyer created race teams to support short-track racing. Stewart, Ken Schrader, Dale Earnhardt Jr. and others invested in race tracks. 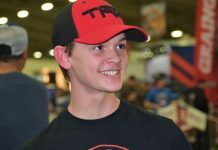 But what may have made the biggest difference was the fact that so many of these drivers — including current stars Larson and Bell, who have become legendary for their battles in such events as the Lucas Oil Chili Bowl Nationals and the Turkey Night Grand Prix – continue to race on the short-track level, giving fans who can’t afford NASCAR racing an opportunity to see their television heroes compete on a smaller stage. 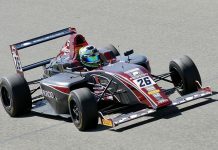 And as crowds, sponsorship and streaming live video coverage of short-track racing continue to grow, those who run big tracks that host NASCAR and Indy car racing have taken notice of what is happening in the short-track industry. Instead of attempting to poach racers, fans and sponsorships from the lower level, there are more than a few signs that today’s big-time racing executives are willing to work with their short-track brethren instead of against them. Indianapolis Motor Speedway President Doug Boles worked to find synergies between short-track racing and his 2.5-mile track for years before IMS officials made the plunge last year, building a quarter-mile dirt track inside the monster speedway and hosting the inaugural BC39 midget race last September. Other superspeedways are putting more energy into their existing short tracks and finding more ways to cross-promote to fans on both sides of the fence. It’s that type of attitude that we all need to make all aspects of motorsports grow. It should come as no surprise it started at the short tracks. Most things in racing do. Mike Kerchner is a veteran racing journalist and has been a member of the SPEED SPORT family since joining Chris Economaki at National Speed Sport News in 1991. He is now the Editor-in-Chief of SPEED SPORT Magazine.